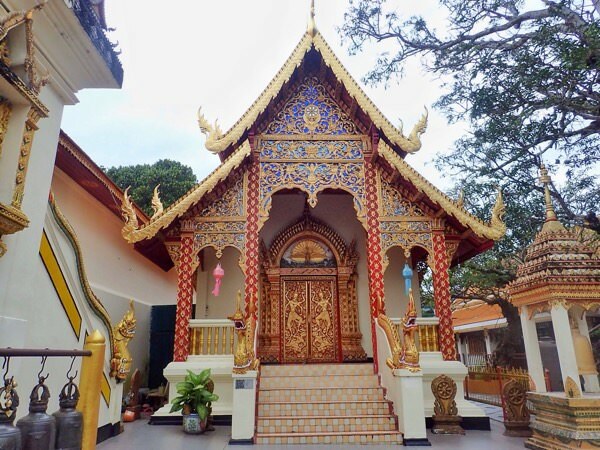 Chiang Mai is well-known amongst the digital nomad community for its cheap living and fast internet connections. 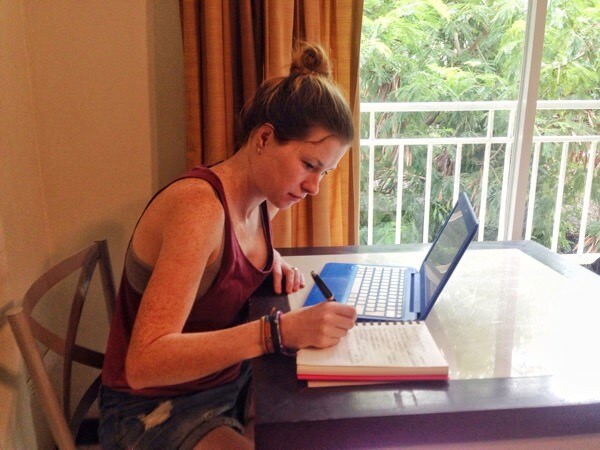 We’d been backpacking Thailand and Southeast Asia for a while and were in the market for somewhere to settle so we could concentrate on getting some work done. As we were in the area it seemed like the perfect choice of location, so we settled there for a month and it turned out to be just that. 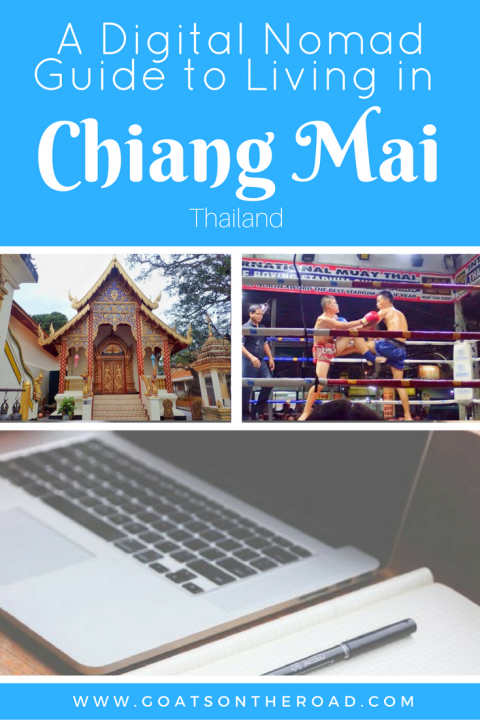 In this digital nomad guide to living in Chiang Mai we’re going to cover all the essential insider knowledge that you’ll need to set up shop there including accommodation options, what you can expect from internet speeds, things to do in Chiang Mai, co-working space options and networking opportunities. 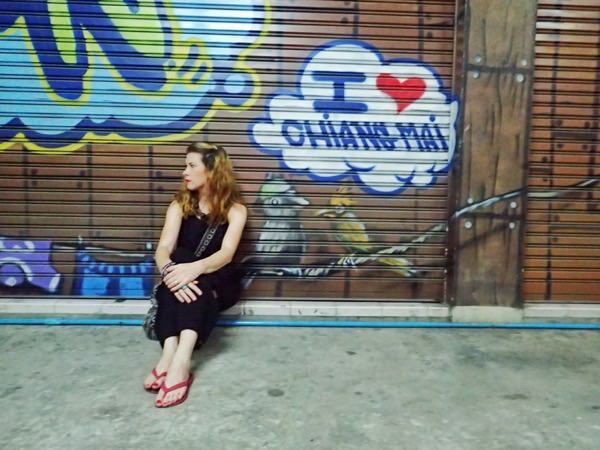 Depending on how long you are planning on living in Chiang Mai there are a couple of different options. Basically if you are looking at staying for less than 3 months your best bet is to negotiate a daily rate directly with a serviced apartment building (this is what we did). 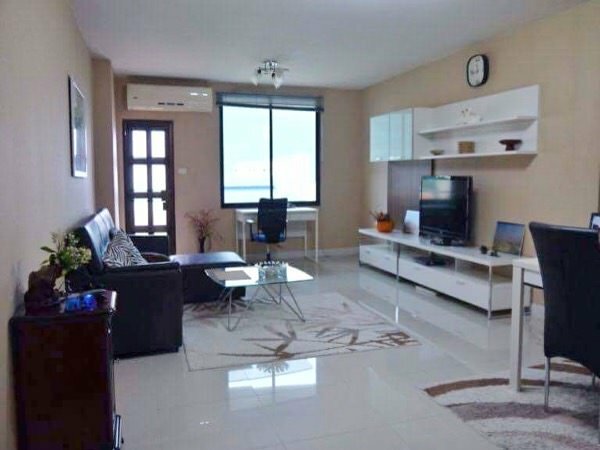 However, if you are going to be settling for 3 months or more you there are lots of short-term apartment rentals available to choose from – you will struggle to find somewhere willing to sign a lease for less than 3 months. There are major pluses to choosing this type of accommodation. Firstly you will get a daily cleaning service included, but you will almost definitely be able to negotiate a lower rate for this only to be done every other day, or 3 times per week as we did. Secondly, all your bills will likely be included in your room rate, including internet. We paid $12 per night for a spacious, open plan apartment and as well as a good internet connection this included air conditioning, private en-suite bathroom, small table and chairs, kitchen area with kettle, microwave and fridge/freezer, TV with numerous English-speaking channels (including an excellent movie channel), and a balcony. There was also full-time onsite security, parking, communal washing machines and water stations. We could have rented a place for as low $9 per night but the building was quite dated and rooms were small. 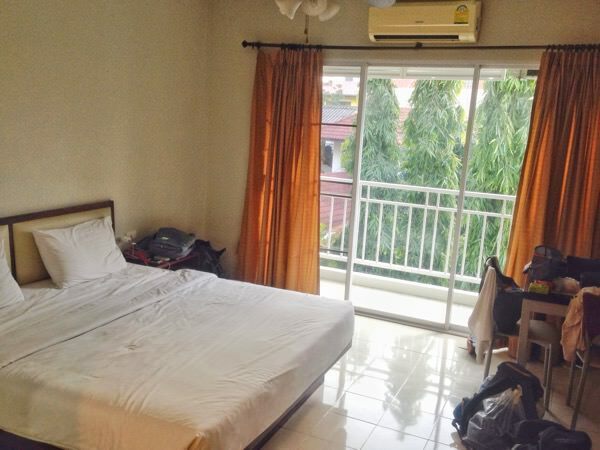 Finding an apartment to rent in Chiang Mai longer term is best done once you’ve actually arrived, so just book yourself a few nights in a hotel for when you get there. 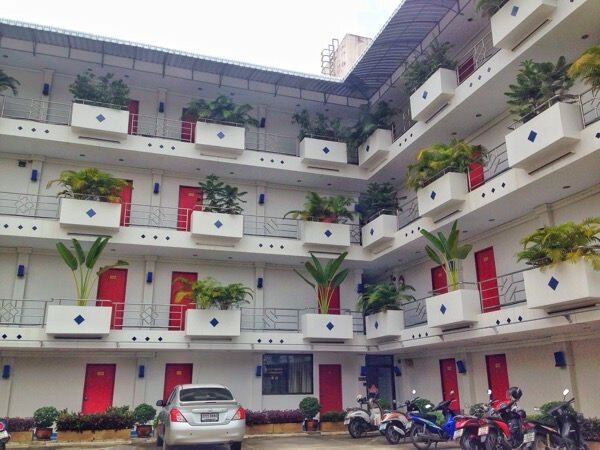 Your best option then is to set up some viewings with a few of the estate agencies in Chiang Mai. There are plenty that are very reputable, straightforward and free for the renter. You just simply send them a brief email of what you are after and they will arrange the viewings, ferry you around by car and sort out all the paperwork. Prices vary a fair bit for rental properties depending on how long you are renting for, the location and type of property you are after. For a newer apartment you can expect to pay $400 – $500 per month. 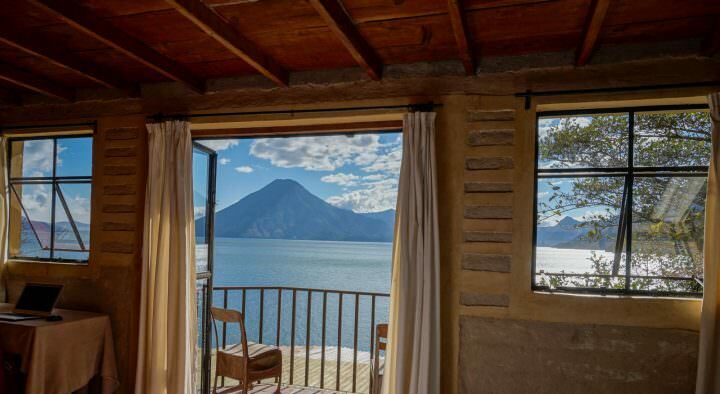 Some friends of ours are renting an incredible place for 6 months for $480 per month with a gorgeous kitchen and swimming pool included – you can check it out here. But we also know someone who rents a more basic but still fantastic rooftop apartment on a year lease for $200 per month. If you are wanting to rent longer term and are also willing to pay a few months up front at a time you will have much more negotiating power. You can also rent whole 2/3/4 bedroom houses outside of the city for similar prices if you don’t mind being further out. ☞ After hanging out in the city, you’ll probably be ready for the beach. There are numerous cool things to do in Koh Phangan, check it out when you’re ready for a break from Chiang Mai. Bills will not be included in your rent and you will have to pay these separately at around £120 per month depending on how much electricity you use and your choice of internet – more on that coming up. *Note: There are numerous apartment options on Airbnb. If you sign up now, you’ll receive $35 off of your first booking. Already have an Airbnb account? Just create another one with a new email address and you can still get the discount. You’ll be in the centre of the action here with no end of western eateries and nightlife options but accommodation prices tend to be on the higher end. This area is around a 15 minute walk Southeast of the Old Town and although it is less modern and has a few seedy bars, it’s still safe. Accommodation is generally cheaper and there are lots of street food and cheap restaurant options. This area is North West of the Old Town and is where the cool kids hang out. It has a large expat crowd with loads of coffee shops, western restaurants, a huge mall with a cinema and many co-working spaces. It is one of the more expensive areas Chiang Mai to rent in. Just North of the Old Town is Chang Puak area. Close to a major university there are large numbers of students here. Accommodation is cheaper and again there are lots of street food and cheap restaurant options. This is the area that we stayed in, it’s a 25 minute walk into the town centre and a 5 minute walk to a large supermarket. Best Things To Do in Bangkok – Our Top 13! Things To Do in Thailand – These Are The Top 25! Tuk tuks aren’t exactly expensive but they will add up over time. We were paying around $3 for a 10 minute ride into town. So if you are wanting to go farther afield or are not living within walking distance of the Old Town your best transport option is to get a motorbike. You can rent them for as little as $5 dollars per 24 hours with insurance. A full tank of petrol will cost you around $2.50. Mr Mechanic is a reputable company that we would recommend and has a variety of bikes. Your best option if you are living in Chiang for a few months or more though and need daily transport is to buy a motorbike and sell it when you leave. Depending on your budget you can either get a new one or pick up a second hand one. There are second hand bike markets at Ruem Chok on Saturdays and San Patong on Sundays. Or you can post your second hand motorbike enquiry on the Chiang Mai Facebook groups and will get plenty of suggestions – more on that later. If buying second hand be sure take someone with you who knows what they are doing, there are procedures you will need to follow to register the bike after purchase. There are also Honda and Yamaha dealerships in the Old Town. If you don’t need transport day to day, just hire a motorbike for a few days at a time to take you on your adventures like we did. You will get free wi-fi in serviced apartments but it may be a little slow depending on your needs. The one we had was a bit hit and miss but worked better when we moved rooms closer to a router. Of course you are sharing the connection with others so it will be slower if more people are using it. You best option, like we did, is to work from a coffee shop or co-working space, particularly if you are wanting to upload or download anything. If you are renting an apartment in Chiang Mai and plan to work from home, personal broadband installation is readily available. There are a number of providers who will get you a fast and reliable connection up and running within a few days for around $16 per month. Because it depends on which area you are in as to which provider you are covered by, your best option is to just ask your landlord or estate agent but most people we know in Chiang Mai are currently using SINET. It’s really easy to get a SIM card in Chiang Mai, you can readily pick them up from the airports or many 7-Elevens dotted around the city. The pay as you go ones are usually free or you can get monthly plans for around $15 per month. Again there are lots of providers but popular ones are TRUEMOVE or AIS. The majority of these are clustered around either the Old Town or Nimmanhaeman Road Area and prices vary along with internet speeds and facilities. For a top notch one that is open 24 hours, has a super high speed internet, free refreshments and a gym and swimming pool you are looking at a monthly membership fee of around $100 per month. 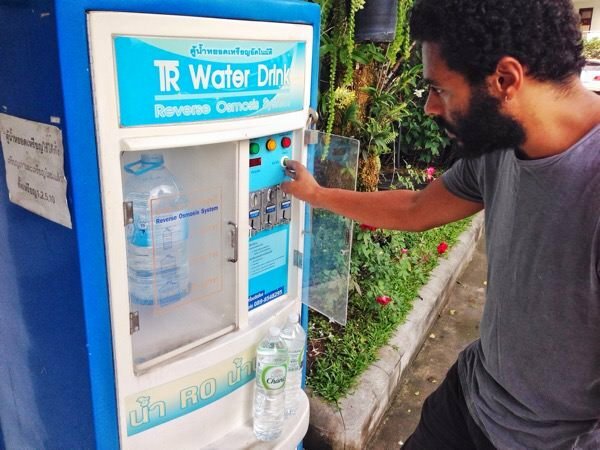 For a more flexible option which you pay for by the hour or per day but with more basic amenities you can expect to pay approximately 50 cent per hour or $3 per day. These are three of the most popular ones: Punspace, CAMP & Mana. 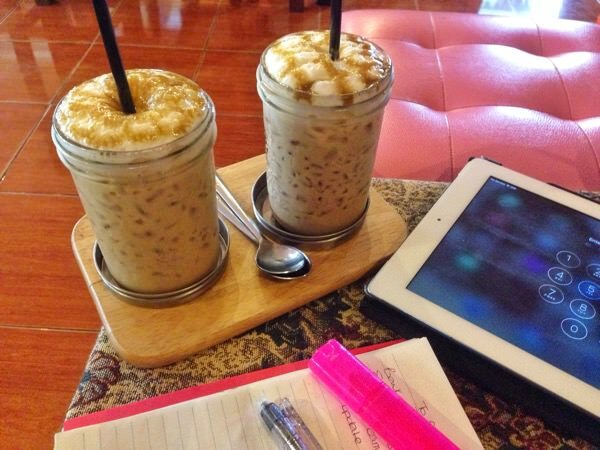 There are also literally hundreds of coffee shops all around Chiang Mai that have decent connections where you can work for a few hours for the price of a couple of coffees. Owing to having such an established digital nomad community there are plenty of opportunities to meet like minded people in Chiang Mai. Be sure to join the friendly Facebook groups ‘Chiang Mai Digital Nomads’ and ‘Farang (foreigner) Community Chiang Mai’. Johnny FD runs a weekly event called Nomad Coffee Club at Healthy B Cafe at 4.30pm every Friday where a variety of entrepreneurs and bloggers speak on a variety of topics, from writing e-books to monetizing your blog. There’s lots of free useful information and valuable contacts to be made in Chiang Mai. 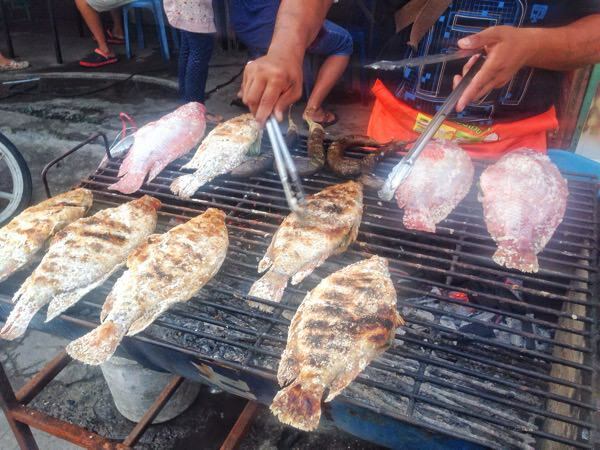 The cheapest way to eat in Chiang Mai is at the plentiful street and market restaurants, there are also many stalls that just offer takeaway options. This is predominately how we ate in Chiang Mai and we ate well. Average dishes cost around $1. If you prefer western food, there are many options, however expect to pay closer to western prices for these. If you are a vegetarian or vegan there are lots of choices, in the Old Town there are whole streets specialising in these dishes. Make sure you check out the Sunday market in Chiang Mai, this is a great place to find affordable and delicious food. You’ll also find lots of souvenirs and clothing. The big supermarkets, usually Tesco Lotus, sell anything and everything although the produce is more expensive and we found it cheaper to eat out than cook. We found these are the cheapest places to buy beers and wine, however and could pick up a crate of 24 beers for around $22 dollars. Be forewarned though you cannot by law purchase alcohol in supermarkets between 2pm and 5pm, so plan your shop around that if you’re getting your beers in for the weekend. There are so many gyms and fitness studios available in Chiang Mai. Prices start at around £1.50 a session or $26 dollars per month. There also lots of yoga studios and martial arts classes, in particular Thai boxing. Naturally there are plenty of massage places offering a whole range of relaxing treatments throughout Chiang Mai for less than $5. You can also check out Mahasiddha Yoga for some classes, workshops and retreats. They are located at 49 Chang Lor Rd T. Haiya Mueang Chiangmai, เชียงใหม่ 50100, Thailand and are open Sunday to Saturday, 8am – 10pm. With such a vibrant and diverse community in Chiang Mai comes lots of entertainment options. There are several night markets that take pace across the city most nights of the week which are great for buying clothes and food. 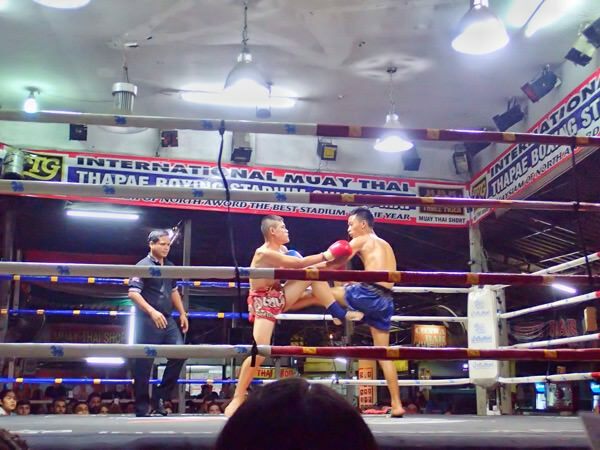 Thai boxing fight nights are held regularly, just make sure you’re going to a proper competition one and not one of the a ‘fake’ ones put on for tourists. The Maya shopping mall has a snazzy new cinema with all the latest English films and runs discounted options on Wednesday nights. 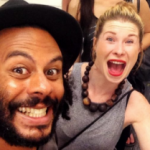 You will invariably at some point find yourself at the popular late night bars of ‘Zoe in Yellow’ and ‘Reggae Bar’ having a few Samsong rum and cokes. Chiang Mai isn’t a late city however and even these later bars are closed by 12pm due to strictly enforced regulations. There are underground bars behind shutters to be found that are open all night, but be careful of police raids as they’re against the law. Nestled in central North Thailand, Chiang Mai, is also a perfect location for exploring the surrounding areas on your ‘off’ days. Chiang Rai and its beautiful white temple and gorgeous hiking trails are definitely worth a look, as are the intriguing ‘Sticky Waterfalls’ and beautiful ‘Grand Canyon’. 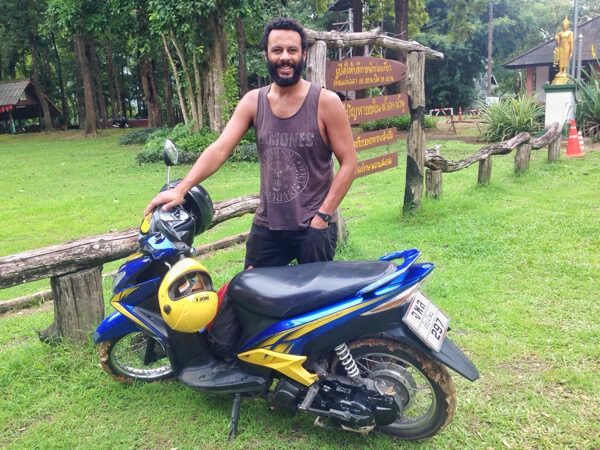 If you have a few more days at a time to play with, another great way of exploring the scenic countryside around this part of Thailand is to rent a motorbike and do the 370miles over the incredibly picturesque western mountains to Pai, Mae Hong Son and back. There are numerous things to do in Pai, so make sure you stick around for a bit. 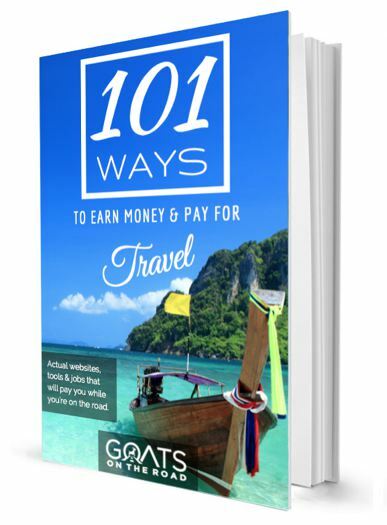 You are only a few hours by bus either way to the borders of Laos and Myanmar if you fancy a trip to either, but with Chiang Mai airport so close by you are within a few hours domestic flight connection to the rest of South East Asia also. 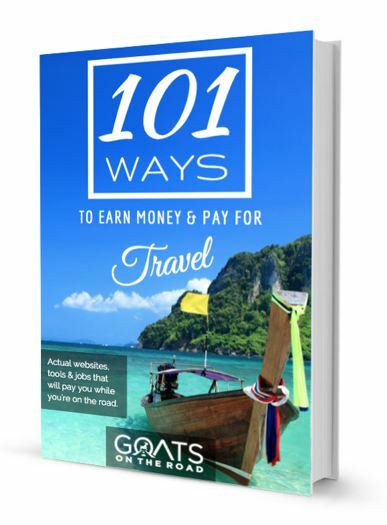 Most western nationalities get a free 30 day visa on entry in Thailand – this is what we used. You can then extend your visa for a further 30 days at a cost of around $55 (at the discretion of the immigration office you are applying with). If you are planning on staying longer than 2 months you will need to apply for a 6 month multiple entry tourist visa in your country of residence. The cost is typically around $150 and will allow you to stay 60 days before you need to extend it for another 30, giving you 3 months. If you are wanting to stay longer you just need to exit Thailand and on re-entry will be granted another 60 days with the option to extend for a further 30 days again at an immigration office upon expiry. This will give you a total of 6 months. If timed right, many people manage to exit and re-enter again prior to the expiry of the 6 month multiple entry visa and obtain a further 3 months in the same way, adding up to 9 months total. The beauty of the 6 month multiple entry visa is that there are no limits on the multiple entries and so you are free to go to neighbouring countries or further afield destinations as often as you like. Of course always double check visa requirements directly prior to travel and for your specific nationality. There is a particularly bad patch of pollution in Chiang Mai during March where the city is full of smog from a burning practice that takes place across the fields and so this period is best avoided or timed with a holiday and visa run. Peak season is December to February for holiday makers and good apartments are harder to come by starting from November, so your best option if you are wanting to spend a while in Chiang Mai is to arrive and get settled in by October. If you’re trying to find a base to set up as a digital nomad, Chiang Mai should for sure be high up on your list of considerations. It has a much slower pace than the frenetic capital of Bangkok, is modern and convenient with access to good healthcare if needed. 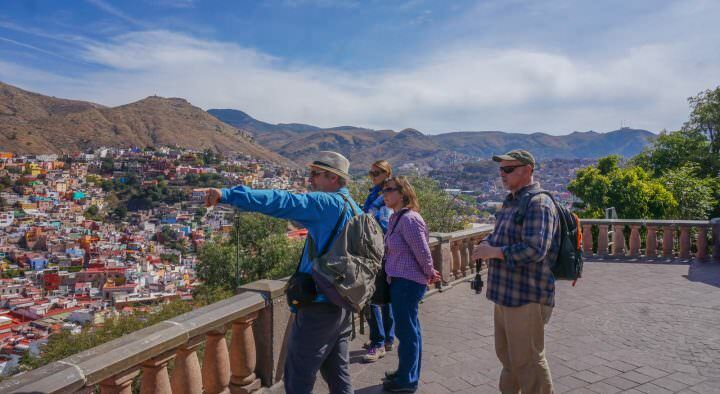 It’s a beautiful city with so much going on and is the perfect option for people wanting to experience a great lifestyle on a cheap budget. Ive been in Chiang Mai twice, in 2015 and 2016 and i love this city! I can imagine living there is great and i would love to live there temporarily, so thanks for the tips! I can’t find any coworking spaces with a gym and pool, that sounds awesome! Do you have a link or a name? Hi what apartment did you stay in that was $12 a night and had a kitchenette?